For all you young girls out there, here are 5 best dark eye makeup tips to follow for an ultimate diva looking you! You may have seen a lot of makeup artists and beauticians across social media giving out makeup tips for college going girls – most of them catering to light to hazel to brown eyed beauties – what about us dark eyed damsels that need a diva-ish touch? Isn’t there anyone to help us with such tips? Worry no more- we have a couple of dark eye makeup tips for girls that are college bound, and the not so loud makeup lovers too. Take a look and emulate them all! For women with dark eyes, we would want you to try out the matte cut crease eyes. This is much on the same lines as the glitter cut crease eyes, sans the glitter though. Well, you cannot wear glitter to college unless there is an event- so matte cut crease eyes are what you should emulate and practice from now on with. This is for women with dark small eyes that need a little popping. While you do your cut crease eyes or smokey sultry eye makeup, a little white shimmer or matte powder on the inner corner of your eyes would be nice to wear. 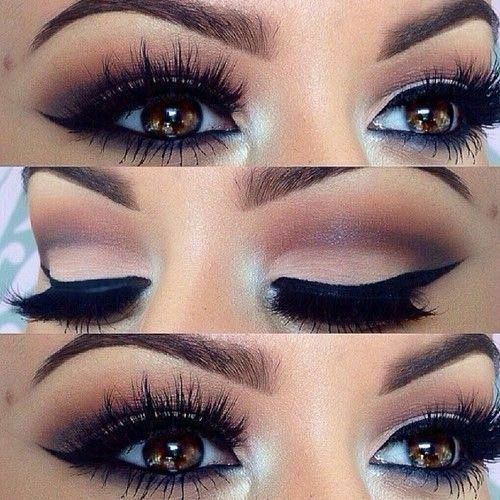 This highlighted portion helps pop the eyes out and make them look big. You want the pair to be flaunted and yet not pulled up by the college authorities for wearing too much makeup, which is why we would say choose your colors for the day on a wise note. 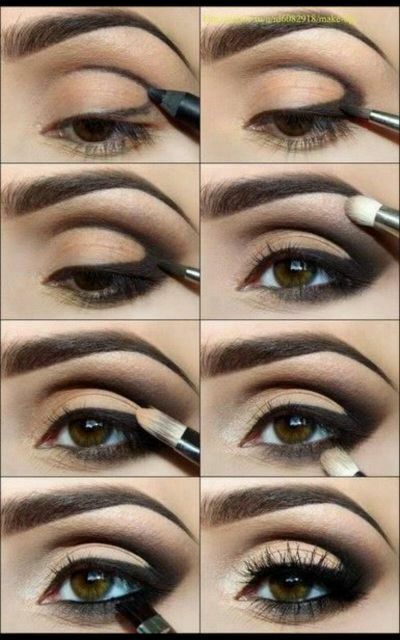 Wear neutrals on the eyelids and smoke them up with heavy kohl for the eyes, and a stroke of mascara. You now are ready for the day at college and a sultry eye makeup is ready to be flaunted too. If you have an upcoming college fest and would want to know how best to use glitter and shimmer in your eye makeup, without making it seemingly too loud, here’s your dough. Once the eye makeup is done on a sultry smoked up tone, with the pinky finger, gently dab into the glitter box and blow wind on the finger to dust off the excess. Now dab the mid section of the eyes and then move to the outer section. 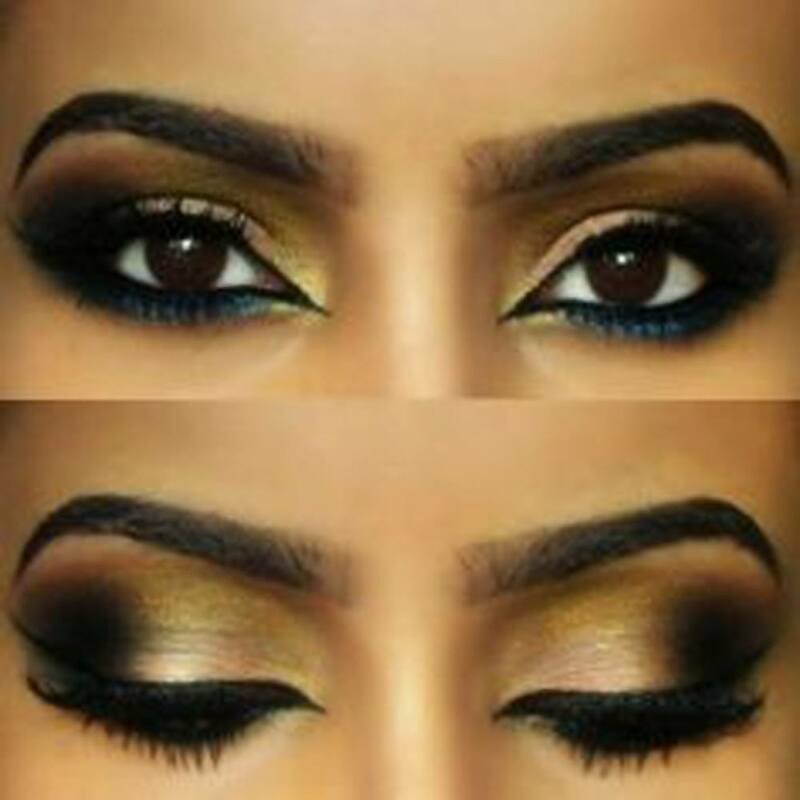 The Arabian touch works like magic for damsels with dark eyes. 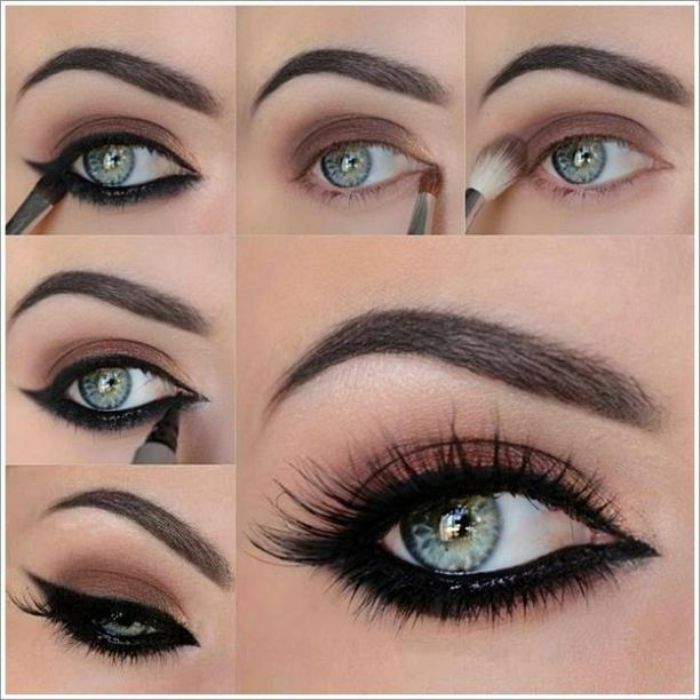 They for a dramatic touch and enhance the mood of the eye makeup do too. 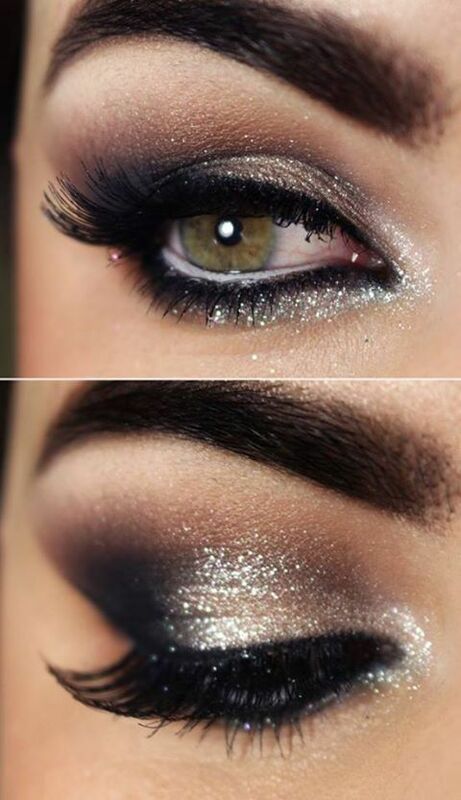 You can play with plenty of colors, glitter and shimmer for the night parties or late evening college fests as well. Imagination and creativity is the name of the game here. Remember the trade secret here- lighter shades on the inside and darker shades from the mid section to the outer corner of the eyelids being the darkest shade- blend well! We hope you have fun doing these five makeup ideas for dark eyed girls!